Reading Partners is dedicated to unlocking the skills of students who struggle with reading. We provide one-on-one reading instruction to elementary school students reading below grade level to help them succeed in school and in life. Reading is the foundation for future learning. In order to learn, students must be able to read. Without reading, kids don’t have an equitable chance at success. We believe that regardless of their environment, given the right support and resources, all kids can learn to read. A national nonprofit, we partner with under-resourced schools and engage volunteer reading partners (community tutors) to help students who struggle with reading unlock and develop the foundational skills they need to succeed in school and in life. An evidence-based and community-driven organization, we recruit and train volunteers to work one-on-one with students for 45 minutes twice a week, following a structured, research-based curriculum. Our program model works and is backed by evidence-based research which proves that our students make significant gains in reading. On average, Reading Partners’ students more than double their rate of learning while in the program. Strong reading skills are essential. Students reading below grade level in third grade are four times as likely as their peers to drop out of school before earning their diploma. Dropping out of school and failing to attend college comes with a real price both to the individual and to society. High school dropouts are more likely than those who graduate to be arrested or have a child while still a teenager. Reading Partners works. 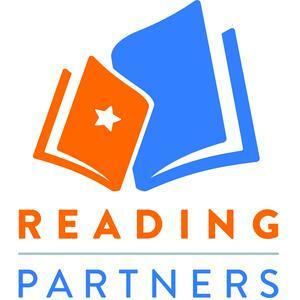 Reading Partners builds a partnership with teachers, parents, and community volunteers to provide students the support they need to succeed. By providing volunteer tutors research-based, structured lesson plans designed to focus on the individual needs of our students, Reading Partners is helping students become strong, confident readers with a passion for learning. In 2013-14, nearly 9 in 10 Reading Partners students (88%) accelerated their rate of learning in reading. Check out what Ersane has to say about his AmeriCorps experience, and the direct impact that he sees Reading Partners playing in his students' lives every day. You, too, can join the AmeriCorps team and change a child's life!